Pointwise is now accepting applications for engineering internships for summer 2016. Electronic Products Magazine named Mentor Graphics FloTHERM XT a product of the year. The first International Conference on the Finite Volume Method will be held in Beirut on 11-14 July 2016. Optimize the performance of a quadcopter and maybe win SimScale’s Drone Challenge. Entries due 29 Feb 2016. [More contests you say?] MSC Software’s Simulating Reality Contest is accepting entries up to 31 March 2016. A conference report from the 11th International Conference on CFD in the Minerals and Process Industries is available for download. The agenda has been published for the workshop on HPC-Based CFD for Offshore Renewable Energy. Desktop Engineering shares information about ANSYS Fluent 17.0 including its new UI and workflow that promises 12% fewer clicks. The article includes a link to an ANSYS webinar for those who want to learn more. Intelligent Light describes their work on in-situ post-processing [I realize that phrase I just wrote is an oxymoron] in which solution data is saved and co-processed [that’s better] while the solver is running resulting in vast times and storage savings. IL also summarized their participation in the recent AIAA Hover Prediction Workshop. ESI launched ESI Cloud, a software as a service (SaaS) offering that includes OpenFOAM for CFD and is based on technology acquired from Ciespace. Read more about this in Desktop Engineering. 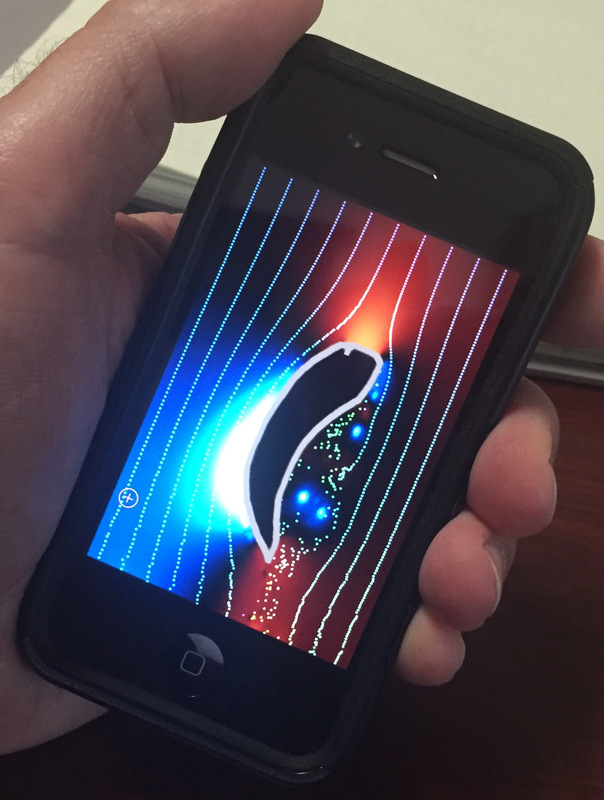 Numeca’s Wind Tunnel Free app for iPhone. See link below. Honda Racing posted a video explaining the “black art” of CFD. Numeca launched [at least I think this is new] WindTunnel CFD, a 2D CFD app for mobile devices. See image above. Symscape blogged about CFD for the small and medium sized business. Flow Science has written about recent improvements in their FlowSight post-processor: Part 1, Part 2. MeshLab JS v16.01, the in-browser version of MeshLab, was released and here’s a nice tutorial. Watch this video demonstration of Meshmixer 3.0. Read about how ANSYS is being used in the pharmaceutical industry. CFD for racing bikes: at Trek and at Zipp. CONSELF wrote about four ways your mesh can cause inaccurate CFD results. #3 lack of orthogonality. 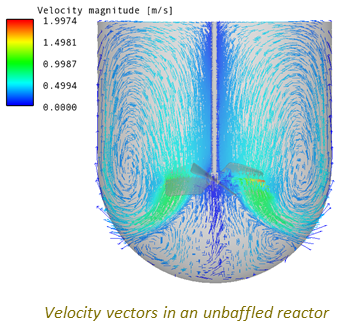 ANSYS simulation of a reactor vessel. Image from LEAP CFD blog. See link above. 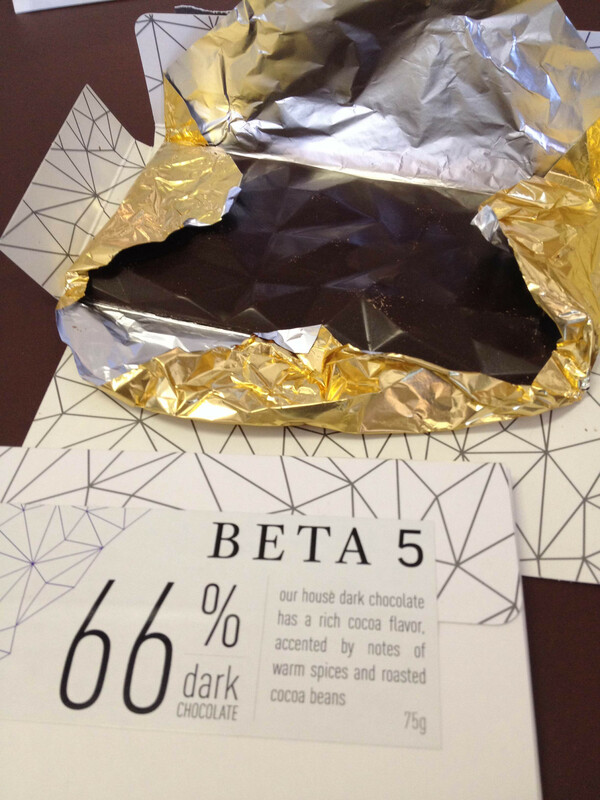 Alert reader and meshing maven Dr. Daniel Zaide discovered these polygonal chocolate bars from Vancouver chocolatier Beta 5. Not only is the chocolate beautifully faceted, but the wrapper itself is meshed. I can only infer from the fact that he sent us their Dark Force Bar (66% dark chocolate) that he’s making a Star Wars themed statement about where meshing falls in the CFD galaxy. Also, I’m finding it difficult to keep sticky chocolate fingerprints off my keyboard. Thank you, Dr. Zaide. The Dark Force Bar from Vancouver chocolatier Beta 5. See link above. P.S. Candy and other meshy gifts will indeed get you on our friends list. Bonus: Gratuitously faceted beer making robot: the BrewBot. No one has sent us one of these. Yet. Faceted customization of a BrewBot, a beer making robot. Image from brewbot.io. See link above. This entry was posted in Applications, Events, News, Software and tagged ANSYS, ESI Cloud, FIeldView, FloTHERM XT, Flow Science, FlowSight, Fluent, Intelligent Light, jobs, Mentor Graphics, MeshLab, MeshMixer, MSC, Numeca, SimScale, Sysmscape, visualization. Bookmark the permalink. There is an app in my iTunes account that I downloaded in 2010 called “Wind Tunnel Free” from Algorizk. Well, it may be old news. But it was new to me. Now you know why I didn’t go into journalism.